Shopping for elderly friends or senior loved ones at the holidays can be challenging. Typically they don’t need or have room for material things. More Christmas décor, collectibles, clothing, housewares… the goods that line the aisles of most stores this time of year are usually not needed by the elderly. If they live independently, they usually have what they need. 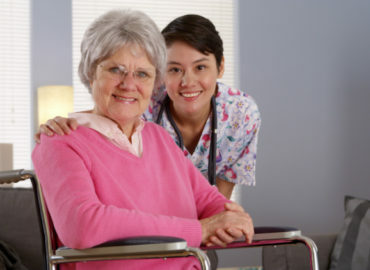 If they live in a skilled nursing facility, what they need is provided, and there isn’t much room for extras. The experts who work in activities and social services at Snyder Village shared these as we shop for the seniors on our lists this Christmas. 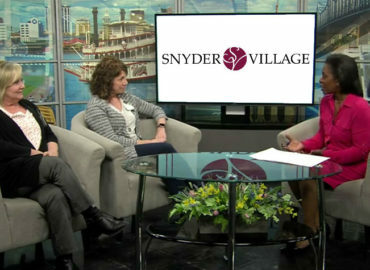 Homemade gifts are wonderful, says Amanda Yetter, activities director at Snyder Village. 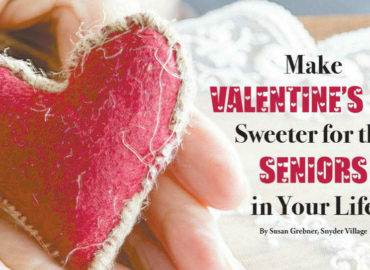 “Especially if they have younger grandchildren, residents love crafts that were made especially for them. These carry more meaning than store-bought items.” Homemade items also provide a wonderful conversation starter when they talk with visitors, other residents or their caregivers. Amanda also suggests gifting their favorite chocolates. 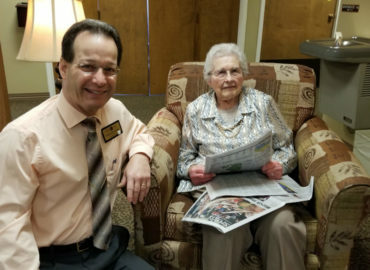 “Our sweet tooth gets more pronounced with age, and many of our residents love sweets.” She also suggested homemade cookies, possibly using a loved ones favorite recipe. When you deliver the gift, you can reminisce about times you remember them baking the cookies or other times spent together. 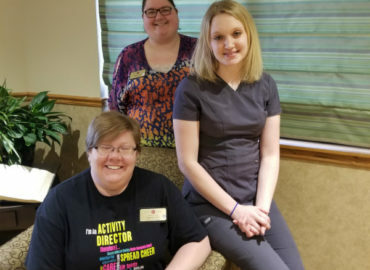 Daria who is life enrichment coordinator at Snyder Village suggested a Dollar General gift card (or gift card to another shopping destination on the activities calendar). The Assisted Living residents she works with can take these gift cards on their scheduled outings and purchase items they want or need. Daria also suggested insulated, thermal cups (like Tervis or Yeti) that allow residents to transport coffee or other beverages back and forth to their rooms. These cups are sturdy and well made with secure lids and are also well insulated to keep hot drinks hot and cold drinks cold. “Bring a photo album or your digital pictures on a tablet or laptop to show them pictures from your most recent trip, your children and grandchildren, pets or old family photos. This ends up being a gift for you as well as them and allows you to create memories that become more valuable as time goes by. You might even consider recording your conversations so that you can share the stories you hear with other family members,” Marge says. Extra-hydrating lotion – winter weather can wreak havoc and make skin super dry and uncomfortable. Scented body wash and body spray can also be a welcome gift. Walker bags – storage pouches that securely attach to walkers that allow the elderly to keep personal items within reach. These are handy for storing a cell phone, tissues, cough crops, or even tucking things away while moving from place to place.